During the last years, nursing research in Greece has highlighted the unwillingness of young people with high-level qualifications to choose the nursing profession as their first career-option (Dimoliatis, Mposmou & Gkouva 1991; Doureka-Agglezi 1999; Kotzabassaki et al.) and the dissatisfaction of nurses themselves about their profession (Charalampidou 1994; Christofi et al. 1996; Brokalaki et al. 2001; Kapela, Minetou & Zyga 2002; Karanikola et al. 2007; Dimitriadou 2008). The nursing staff shortage is a predominant topic in studies on the evaluation of the health care system (Versieck, Bouten, & Pacolet 1996; Mossialos, Allin & Davaki 2005). A recent Greek study showed that a nurse working in a general or surgical ward has an average assignment of 11 patients during morning shift, 15 patients during evening shift, and 28 during night shift. Very often, due to the staff shortage, the 5-day work-week is violated since the hospitals cannot give the staff two days off every week (Dimitriadou 2008). In Greece, nursing professionals are facing institutional, social, and financial problems (Kokoliou 1987; Papamikrouli 1993). The measures taken during the establishment and reform of the National Health System do not seem to have yielded what was expected, while in some cases they created additional problems to the development of nursing (Kokoliou 1987; Papamikrouli 1993; Sapountzi-Krepia et al. 2006). There is a need to investigate and determine the problems that are related with the practice of the nursing profession, nursing education, and nursing identity. Analyzing the nursing identity's elements helps us comprehend the reality of the situation (Zavalloni & Guerin 1996), because in order to recognize and interpret the way nurses act and behave, we must first determine their identity as professionals and the framework in which their identity is shaped and sustained (Flynn 2004). An identity consists of the sum of the characteristics that a person believes represent him/her (Dagmar 2004). An identity is not a given, but it is bestowed, supported, and transformed by society; it is structured through actions of social recognition and thus, it is considered socially defined (Berger 1983). The nursing professional identity is a social identity and it is created in relation to others; this is why it is formed through circumstances which include interaction, learning, and practical training (Cook, Gilmer, & Bess 2003). For nursing students, the initiation of the official professional socialization coincides with the onset of their studies, and continues through their practical training at health care settings (Orton 1981; Faison 2003). The creation of the nursing identity is associated with the profession's low appraisal by the society (Bloomfield 1999). The nurses and the nursing students receive the impact of the negative social appraisal in the framework of social interaction in the work and social environments (Dimitriadou 2008). The impact of the negative social appraisal is attributed to stereotypes and to the profession's public image (Kalisch & Kalisch 1987; Kaler, Levy, & Schall 1989). Among the factors that contribute to the formation of the nursing identity are the nursing educational system (du Toit 1995; Fitzpatrick, While, & Roberts 1996; Fagerberg & Ekman 1998; Fagerberg, Winblad, & Ekman 2000) and the stereotypical perceptions that connect nursing to religion (Fealy 2004) and identify nursing with the female gender (Gottfredson & Lapan 1997; Sellers, Satcher, & Comas 1999). The objective of nursing education is to create professionals who have knowledge, abilities, attitudes, and understanding of principles, to such an extent that will allow them to practice their profession independently and successfully (Kakavoulis 1997). However, it is mentioned that nurses, after completion of their studies, do not feel ready to assume the role of the nurse (Mozingo, Thomas, & Brooks 1995); especially when they have to be responsible at the same time for a large number of patients with complex health problems (Heslop, McIntyre, & Ives 2001). In Greece, a study showed that only 50% of the nurses considered their undergraduate education satisfactory (Kampoura-Nifli 1998). In another study, the majority of the participants believed that they do not have the appropriate theoretical knowledge and clinical training in order to safely treat patients with HIV-infection (Dimitriadou et al. 1993a; Sapountzi-Krepia et al. 2000). More specifically, 7 out of 10 nurses evaluated as insufficient the knowledge they got during their undergraduate studies about HIV-infection (Dimitriadou et al. 1993b). The education's quality and structure influences the creation of "reality shock" to the new nurses (Kramer 1974; Madjar 1997), which refers to the difference between the image that the student nurses have formed about the profession during their studies and the real image that they face at the work place (Madjar 1997). We could suggest that "reality shock" describes the experience of the young workers who, while they have been trained to practice a profession, are suddenly found unprepared for the real conditions of its practice (Kramer 1974; Madjar 1997). The reality shock constitutes a barrier to the development of the nursing identity (Madjar 1997; Ewens 2003). During the first years of its development, nursing was connected with religion and religious organizations (Griffen & Griffin 1969; O’Brien, 1999; Nelson 1997; Nelson 2001; Burke 2002). During times when there was no expressed interest for organized State care, patient care and hospital operation was supported by the Church, by philanthropists (Nelson 2001), and by local communities (Bloomfield 1999). Florence Nightingale and the organization of nursing education gave a new boost to the nursing-Church relation (Burke 2002). Nightingale regarded her interest in nursing as "a calling" and "mission" from God (Griffen & Griffin 1969; O’Brien 1999; Macrae 2001), and based the nursing reform on the Christian philosophy (Burke 2002; Fealy 2004; Bradshaw 2001). Therefore, when in 1860 she established the first nursing school, the Church supported her effort and showed great interest in nursing education all over the world (Barrington 1987). The majority of people who served nursing had ties to religious institutes and organizations (Ruiz 1994; Wall 2001). In Greece, nursing education adopted Nightingale's values and the Greek Church was closely connected with nurses and their education. More specifically, during the 1960s, the Greek Church founded and operated the School of Nurses of the "Pammakaristos" hospital and the "Olympias" School of Nurses. During the times of Nightingale, nursing was considered a profession suitable only for women because compassion, intuition, kindness, modesty, and altruism (which are attributed to the female nature) were considered necessary in order to perform the nursing role (Fearly 2004). Like nursing's relation to religion, nursing's relation to the female gender was supported by nursing education. From the establishment of the first school of nurses until the 1950s, nursing schools in Europe and in the USA were accepting only women. It is worth mentioning that in Greece the same thing was happening until the mid-1980s. Nursing's close relation to religion and to the female gender (Gottfredson & Lapan 1997; Sellers, Satcher & Comas 1999) created a stereotype for women nurses who choose this profession as a mission in order to serve their calling (Fearly 2004). Therefore, while trying to determine the contemporary nursing identity, it would be very interesting to investigate its relation to religion and to investigate the gender distribution of nurses. The main objective of the present study was to investigate the nursing staff's identity according to its demographic characteristics. In addition we aimed to: 1) investigate the nursing staff's relation to religion and trade unionism, and 2) to determine the frequency of negative experiences that are associated with the practice of the nursing profession. Our sample is a convenience sample, consisting of 342 participants; 269 nurses and 73 nursing assistants working in two regional hospitals. The researchers constructed a specifically designed questionnaire for the needs of the present study, which was based on the nursing literature. The instrument consists of two parts. The first part includes questions about demographic characteristics of the participants. The second part includes questions that explore the relation between the practice of nursing and religion, and between the practice of nursing and the negative experiences (the experience of prejudice due to the practice of the nursing profession and the experience of reality shock). The researchers first informed the potential participants about the study aims and about the fact that participation is voluntary. Then, they asked those who agreed to participate in the study to anonymously complete the questionnaire. We distributed 600 questionnaires, and 390 were returned completed (65% return rate). However, 48 of the questionnaires were not properly completed and therefore we proceeded with analyzing 342 questionnaires. The data analysis was performed using the statistical programme SPSS 11.0 for Windows. Descriptive statistics were used to analyze the demographic data. We calculated distributions and means with confidence intervals of 95%. Because the variables were not normally distributed we used non-parametric tests. The comparison between distributions of two independent samples was calculated with the Mann-Whitney test, and the comparison of distributions of three independent measurements was calculated using the Kruskal-Wallis test. To check the correlation between variables we used the Spearman correlation coefficient. Eighty six point three percent (86.3%, n=295) of the participants were women. The mean age was 41.2 years (SD=7.18) and there was a statistically significant difference between genders (p=0.15, men 38.87 years with SD 5.69, and women 41.55 years with SD 7.33). Regarding educational status, 69.9% of the participants were graduates of nursing departments of Technological Education Institutes (T.E.I. ), and 63.5% (n=218) did not have any kind of post-graduate education (Table 1). The frequency of post-graduate education was associated with the level of under-graduate education (r=-0.345, p=0.000). Forty three point six percent (43.6%, n=13) of University graduates did not have post-graduate education, while 56.1% (n=133) of T.E.I. graduates did not have post-graduate education. In addition, the frequency of post-graduate education was negatively associated with having children (r=0.125, p=0.022) and with having rural origin (r=0.159, p=0.004), while it was positively associated with active participation in trade unions (r=0.121, p=0.027). Fifty three point six percent (53.6%, n=21) of those participants who were active members of trade unions had post-graduate education, while only 30.1% (n=22) of those participants who only participated by voting or did not participate at all in trade unions had post-graduate education. The kind of post-graduate education was associated with the school from which they received their nursing degree (r=0.495, p=0.000). Forty seven percent (47%, n=14) of University graduates and only 3% (n=8) of T.E.I. graduates had a master's degree (Table 1). Almost all the participants (98.0%, n=335) believed that nurses should update their knowledge (Table 2), but they recognized less frequently that they had personal educational needs (Table 3). Age (p= 0.987), gender (p=0.485), and work place (p=0.197) did not influence the ability to recognize educational needs. On the contrary, factors that influenced the ability to recognize educational needs were the work position and the frequency of night shifts. Forty point four percent (40.4%, n=23) of nursing assistants, 22.4% (n=11) of head nurses, and 21.2% (n=38) of nurses did not recognize that they had personal educational needs (r=0.150, p=0.030). Those who had more night shifts (mean night shifts 5.13) stated in higher frequency that they had educational needs (r=0.149, p=0.046). According to 54.6% of the participants, the responsibility for the health professionals' continuing education resides with the State (Table 2). Their opinion was associated with their level of education; the responsibility was assigned to the State by 34.5% (n=10) of the University graduates, 52.7% (n=119) of the T.E.I. graduates, and 69.0% (n=49) of the nursing assistants (nursing assistants are secondary education graduates). 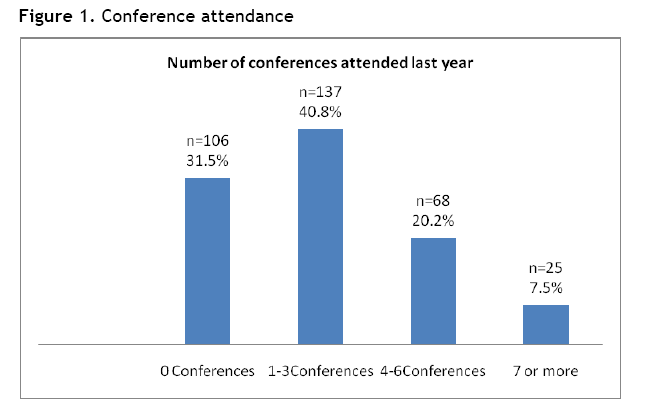 Continuing education was evaluated according to the number of conferences (Figure 1). The frequency of conference attendance was not affected by gender (p=0.636), but it was positively associated with: the educational level (Table 3, r=-0.455, p=0.000), the positive answer to the recognition of educational needs (r=0.117, p=0.046), the work position (r=0.415, p=0.000), and the relation with trade unionism (r=152, p=0.006). More specifically, the frequency of conference attendance was increasing when the educational level, the recognition of educational needs, the hierarchy of the work position, and the participation in the trade unions are increasing. On the contrary, the frequency of conference attendance was negatively associated with having children (r=0.148, p=0.007), with shift rotation (r=0.216, p=0.000) and with working during weekends (r=0.177, p=0.002). Table 1 presents the professional title, the work position, the years of work, the work shift, and the number of night shifts per month. Professional advancement was associated only with age (r=0.217, p=0.000, Table 4). It was not associated with post-graduate education (p=0.647). So, the majority of head nurses (56.9%, n=31) did not have any kind of post-graduate education, only 7.8% (n=4) of the head nurses had master's degree and 35.3% (n=18) had a nursing specialization offered by hospitals. The majority (91.0%, n=313) of the participants reported that they had experiences of prejudice because of their profession. More specifically, 5% reported that they have experiences of prejudice "always", 54% "often", and 32% "rarely", while only 9% reported that they "never" had such experiences. These negative experiences were associated with the level of education (r=-0.109, p=0.045); when the level of education was increasing, the frequency of the negative experiences was increasing as well. Therefore, these experiences were reported by 76.7% of University graduates, 59.0% of T.E.I. graduates, and 53.0% of secondary education graduates. Ninety one point seven percent (91.70%, n=314) of the participants had discovered that the image that they had about the profession during their studies, did not correspond with the image that they encountered at the work place as professionals, and because of this they faced reality shock (Madjar 1997). The frequency of reality shock was significantly influenced by age (r=0.211, p=0.000), with younger participants (mean age 39.86) recognizing the difference more than the older ones (mean age 44.5), and by experiencing prejudice because of their profession (r=0.161, p=0.003). Thus, 78.6% (n=22) of those who did not recognize that the image they had about the nursing profession did not correspond to the one they faced at work experienced prejudice, while 92.90% (n=290) of them stated that they were experiencing prejudice from "often" to "always". The reported relation with religion (Figure 2) was not associated with gender (p=0.819), age (p=0.653), family situation (p=0.242), and the experience of prejudice (p=0.610). While the relation with trade unionism (Figure 3) was influenced by age (p=0.026) and by gender (r=0.201, p=0.001). Older participants (mean age 42.85) stated that they were active members of their trade unions, while younger ones (mean age 39.26) did not participate. Men participated more in trade unions, since 28.3% (n=13) of men, as opposed to 9.3% (n=27) of women, stated that they were active members of their trade unions. The findings of the present study lead us to suggest that in Greece, the nursing staff's gender distribution and age do not differ with data from foreign studies. More specifically, although nowadays there are no obstacles for men to enter the profession, women are still the vast majority in the nursing profession internationally (UKCC 1998; OECD 1998; Tackenberg et al. 2003). This fact demonstrates how difficult it is to alter established stereotypes (Mendras 1991). Many studies conducted in the contemporary world have recorded the nursing staff's old age (Wilson 1996; Buerhaus, Staiger, & Auerbach 2000; Peterson 2001; Southworth 2001). This is faced as a problem by the W.H.O. (2001), which emphasizes the need to attract young graduates to the profession, in order for the nursing staff to have a smooth turnover. In Greece, the majority of nurses are T.E.I. graduates due to the fact that in the country there was until recently only one University nursing department and seven T.E.I. nursing departments. The graduates of the two different educational levels have some differences. The University graduates believe less often that the responsibility of the health professionals' continuing education resides with the State, and they have better education level because they have higher frequency of post-graduate education and a higher frequency of conference attendance. The nurses' professional advancement is influenced only by their age and has no association with their educational background. The study of Karanikola et al. (2007) reached the same conclusion. Therefore, the majority of head nurses do not have any kind of post-graduate education. This non-recognition of additional education constitutes a problem because it can create the sense of futility and it can affect the nurses' interest for further personal development. Confirming the results of other studies (Dimitriadou et al. 1993 a; Kampoura-Nifli 1998), the present study found that the majority of the participants believes that there is a need for updating their knowledge. However, this belief does not match their actions. The problem of not updating their knowledge is associated with their family commitments. In addition, there is problematic human resource management, since the head nurses themselves attend more conferences than the nurses; especially the nurses that have more night shifts and recognize more that they have personal educational needs. Religion seems to still play a role in nursing, although it does not totally define it. This probably reflects the Greeks' general relation with religion, as it was illustrated by the results of the "European Social Survey" (2003), where the Greeks' percentage of religiousness was the highest among all Europeans. We would also like to note that in a similar study conducted in a Muslim country, 94.9% of the participant nurses reported that religion plays a very important role in their lives (Shaikh 2004). 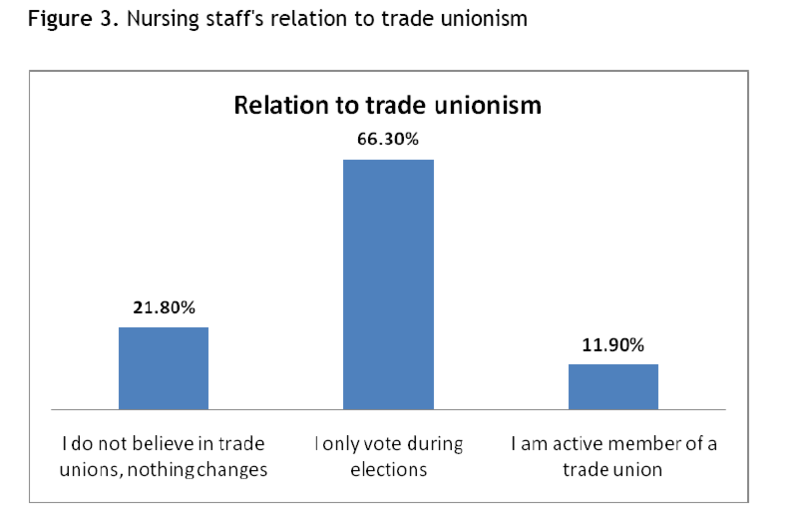 The majority of the nursing staff does not actively participate in the trade unions. This is a result of the fact that most of them are women. Women's low participation in trade unions has also been observed in other professional fields, such as education, where women are also the majority (Lapathioti 1991; Sianou 1997; Sianou 1998, Gklarnetatzis & Xefteri 1998). The present study showed that those who state that they are active members of the trade unions have better education. The same result was found in the study of Lovell (2006), while many researchers support that those who deal with nursing unions present qualitative differences in their characteristics (Seago & Ash 2002; Wynd 2003). This result possibly reflects, initially, the higher level of awareness of those who deal with the common interests, which in turn contributes to demanding more opportunities for continuing education. The high frequency of experiencing prejudice due to their profession demonstrates the Greek society's low evaluation of the profession and of the people who practice this profession, since this experience is the product of interaction. This fact makes imperative the need to take measures, since the interaction contributes to the creation of the professional identity (Berger 1983). Furthermore, this study showed that the frequency of experiencing prejudice is increasing when the level of education increases. The reason behind this is probably the fact that higher education provides more knowledge about the processes and higher perception about the nursing's offering to the health care system, which is not properly recognized in the health services nor in the society (Siegrist 1996; Kluska et al. 2004), and leads to feelings of depreciation and to psychosomatic exhaustion (Laschinger, Finegan, & Shamian 2001). The high frequency of experiencing prejudice demonstrates the need for further research in order to highlight the qualitative characteristics and the way that this negative experience is affecting the nursing staff. Moreover, the investigation of the profession's image during the studies and during the first year of work highlighted that the vast majority of the nursing staff (91.7%) experiences reality shock. The frequency is higher in younger ages and this is a problem because according to Brighid (1998) reality shock makes the young nurse's stay in the profession precarious. The difference between the profession's image during the studies and during the first year of work seems to contribute to the creation of the experience of prejudice because of the nursing profession. The magnitude of the frequency of this negative experience seems to re-fuel the crisis in the profession (Dimitriadou 2008) and, if effective measures are not taken both in nursing education and in the organizational characteristics of the places where nursing is practiced, any effort for change will be undermined. The present study presents findings that should interest the nursing community and the State: 1) the nursing staff consists of middle aged women, and they do not have equal opportunities for post-graduate education nor for continuing education, 2) the advancement in the hierarchy is not associated with the educational background, 3) the active participation in trade unions differentiates the qualitative characteristics of education, 4) the image of nursing during the studies does not correspond to the image of nursing at the work place, which for many nurses results to reality shock, and 5) the vast majority of nurses, and especially of those who have higher education, have experienced prejudice because of their professional choice. Barrington R. (1987) "Health, Medicine and Politics in Ireland 1900 – 1970", Institute of Public Administration, Dublin, Ireland. Berger P. (1983) "Invitation to sociology" (in Greek), Mpoukoumani Publications, Athens, Greece. Bloomfield J. (1999) "The Changing Image of Australian Nursing", URL: http://www.clininfo.health.nsw.gov.au/hospolic/stvincents/stvin99/Jacqui.htm (Assessed February 9th 2004). Bradshaw A. (2001) "The Nurse Apprentice 1860–1977", Ashgate, Aldershot. Brighid K. (1998) "Preserving moral integrity: a follow-up study with new graduate nurses", Journal of Advanced Education 28(5):1134-1145. Brokalaki H., Matziou V., Thanou J., Zirogiannis P., Dafni U., Papadatou D. (2001) "Job-related stress among nursing personnel in Greek dialysis units", EDTNA ERCA J. 2001 27(4):181-186. Buerhaus P., Staiger D., &Auerbach D. (2000) "Policy responses to an aging registered nurse workforce", Nursing Economics 18:278-284. Burke M.A. (2002) "The History of Nursing: Sorcery to Science andProstitutes to Professionals", URL: http://www.bertrodgers.com (Assessed April 21st 2003). Charalampidou E. (1994) "Nurses' satisfaction: quality factors in the care system", Conference Proceedings, 21st Hellenic Nursing Conference, Athens, Greece. Christofidi M., Fasoi G., Kelesi M., Toulia G., Vardaki Z., &Katostaras F. (1996) "Factors that influence the clinical nurses' satisfaction" (in Greek), Conference Proceedings, 23rd Hellenic Conference of the National Association of Graduate Nurses of Greece (ESDNE). Cook T.H., Gilmer M.J., & Bess C.J. (2003) "Beginning students' definitions of nursing: an inductive framework of professional identity", Journal of Nursing Education 42(7):311-317. Dimitriadou A., Kaykia Th., Minasidou E., Sapountzi D., Benos A., &Kiosses V. (1993a) "ΗΙV-infection: Knowledge and behaviour of the nursing staff in Thessaloniki's hospitals" (in Greek), 5th Hellenic AIDS Conference, Athens, Greece. Dimitriadou A., Minasidou E., Kaykia Th., Sapountzi D., Benos A., &Kiosses V. (1993b) "Investigation of the factors associated with the nursing staff's attitudetowards AIDS" (in Greek), 5th Hellenic AIDS Conference, Athens, Greece. Dimitriadou A. (2008) "Epidemiological investigation of the perceptions about the identity and the role of the contemporary nurse in relation to his/her education" (in Greek), Doctoral dissertation, Faculty of Medicine, Aristotle University of Thessaloniki, Greece. Dimoliatis G., Mposmou F., &Gkouva M. (1991) "Do you like your profession?" (in Greek), Conference Proceedings, Hellenic Conference of the National Association of Graduate Nurses of Greece (ESDNE). Doureka-Agglezi A. (1999) "Nursing as a professional choice" (in Greek), Nosileytiki 4:360-382.
duToit D. (1995) "A sociological analysis of the extent and influence of professional socialisation on the development of a nursing identity among nursing students at two universities in Brisbane, Australia", Journal of Advanced Nursing 21:164-171. European Social Survey (2003) "Results of European Social Study: Greece-Europe, Society-Policy-Values", URL: http://www.ekke.gr/ess (Assessed December 14th 2006). Ewens A. (2003) "Changes in nursing identities: supporting a successful transition", Journal of Nursing Management 11(4):224-228. Fagerberg I. & Ekman S.L. (1998) "Swedish nursing students' transition into nursing during education", Western Journal of Nursing Research 20(5):602-620. Fagerberg I., Winblad B. & Ekman S.L. (2000) "Influencing aspects in nursing education on Swedish nursing students' choice of first work area as graduated nurses", Journal of Nursing Education 39(5):211-218. Faison K. (2003) "Professionalization in a distance learning setting", ABNF Journal, July-August 2003, URL: http://www.findarticles.com/p/articles/mi_m0MJT/is_4_14/ai_106699874/pg_2 (Assessed August 10th 2005). Fealy G.M. (2004) " 'The good nurse': visions and values in images of thenurse", Journal of Advanced Nursing 46(6):649-656. Fitzpatrick J.M., While A.E., & Roberts J.D. (1996) "Key influences on the professional socialization and practice of students under taking different pre-registration nurse education programme in the United Kingdom", International Journal of Nursing Studies 33(5):506-518. Flynn (2004) "Self-Esteem: Research, Theory, and Measurement", URL: http://www.thirdspace.ca/articles/kohlflyn.htm (Assessed December 1st 2004). Gklarnetatzis N. &Xefteri E. (1998) "Women's participation in administrative positions and in trade unions" (in Greek), Education and Gender, New Technologies, Conference Proceedings, General Secretariat for Equality, Research Center for Gender Equality, pp 65-69. Gottfredson L.S. &Lapan R.T. (1997) "Assessing gender-based circumscription of occupational aspirations", Journal of Career Assessment 5:419-441. Griffen G.J. & Griffin J.K. (1969) "Jensen’s history and trends of professional nursing" (6th ed), The C.V. Mosby Company, St. Louis. Heslop L., McIntyre M., & Ives G. (2001) "Undergraduate student nurses' expectations and their self-reported preparedness for the graduate year role", Journal of Advanced Nursing 36(5):626-634. Kakavoulis A. (1997) "Methodology of nursing education" (in Greek) (2nd Edition), Athens, Greece. Kaler S.R., Levy D.A. &Schall M. (1989) "Stereotypes of Professional Roles", Image: Journal of Nursing Scholarship 21(2):85-89. Kalisch P. &Kalisch B. (1987) "The Changing Images of the Nurse", Menlo Park, California, Addison Wesley. Kampoura-Nifli E. (1998) "The search for the nursing education model on the verge of the 21st century" (in Greek), 25th Hellenic Nursing Conference, Crete, Greece. Kapela M, Minetou E., &Zyga S. (2002) "Measurment of nurses' satisfaction fromtheir work" (in Greek), Nosileytiki 2:191-196. Karanikola M.N., Papathanassoglou E.D., Giannakopoulou M., &Koutroubas A. (2007) "Pilot exploration of the association between self-esteem and professional satisfaction in Hellenic hospital nurses", Journal of Nursing Management 15(1):78-90. Kluska K.M., Laschinger H.K., & Kerr M.S. (2004) "Staff nurse empowerment and effort-reward imbalance", Nursing Leadership (Toronto, Ont) 17(1):112-128. Kokoliou M. (1987) Opening speech at the 1st Conference of the Panhellenic Federation of Public Hospital Workers (ΠΟΕΔΗΝ), Nosileytiki Issue 6. Kotzabassaki S, Kyriakidou E., Andrea S., Vardaki Z., Ntikou M. &Matzorou M. (2003) "Values, attitudes and beliefs of lyceum students towards nursing as a career choice", ICUs & Nursing WEB Journal (http://www.nursing.gr), issue 15 (July-September) p 10. Kramer M. (1974) "Reality shock: Why nurses leave nursing", CV Mosby Company, St. Louis. Lapathioti E. (1991) "Trade union practices and woman educator" (in Greek), Educational Community 14, pp 20-22. Laschinger H.K.S, Finegan J. &Shamian J. (2001) "Promoting Nurses' Health: Effect of Empowerment on Job Strain and Work Satisfaction", Nursing Economics 19(2):42-52. Lovell V. (2006) "Solving the nursing shortage through higher wages", Institute for Women’s Policy Research, Washington DC, U.S.A., URL: http://www.iwpr.org/pdf/C363.pdf (Assessed September 19th 2006). Macrae J.A. (2001) "Nursing as a spiritual practice: A contemporary application of Florence Nightingale’s Views", Springer Publishing Co., New York. Madjar I. (1997) "Project to review and examine expectations of beginning registered nurses in the workforce 1997", Nurses Registration Board of New South Wales, Sydney. Mendras H. (1991) "Elements of sociology" (in Greek), EKKS Publications, Athens, Greece. Mossialos E., Allin S., &Davaki K. (2005) "Analysing the Greek health system: a tale of fragmentation and inertia", Health Economics 14(Suppl 1):S 151-168. Mozingo J., Thomas S., & Brooks E. (1995) "Factors associated with perceived competency levels of graduating seniors in a baccalaureate nursing program", Journal of Nursing Education 34(3):115-122. Nelson S. (1997) "Pastoral care and moral government: early nineteenth century nursing and solutions to the Irish question", Journal of Advanced Nursing 26(1):6-14. Nelson S. (2001) "From salvation to civics: service to the sick in nursing discourse", Social Science & Medicine 53(9):1217-1225. O’Brien M.E. (1999) "Spirituality in nursing: Standing on holy ground", Jones & Bartlett Publishers, Boston. OECD - Organization for Economic Co-operation and Development (1998) "The Future of Female-Dominated Occupation", OECD, Paris, France. Orton H.D. (1981) "Ward teaching climate", RCN, London. Papamikrouli S. (1993) "Nursing's odyssey and the search for Ithaca" (in Greek), Nosileytiki 3:125-133. Dagmar P. (2004) "An analysis of Carl Rogers' theory of personality", URL: http://wynja.com/personality/rogersff.html (Assessed December 1st 2004). Peterson C. (2001) "Nursing shortage: not a simple problem - no easy answers", Online Journal of Issues in Nursing, issue 6(1), Manuscript 1. 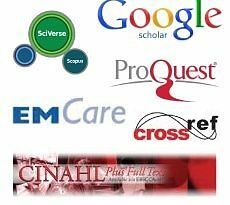 URL: http://www.nursingworld.org/ojin/topic14/tpc14_1.htm (Assessed April 12th 2003). Ruiz V. (1994) "Dead ends or gold mines? Using missionary records in Mexican American women's history", In: Ruiz V. & Du Bois E.C. (eds) "Unequal sisters: A multicultural reader in US women's history", pp 298-315, New York. Sapountzi-Krepia D., Dimitriadou A., Maras D., Roupa-Daviraki Z., Zante E., Theodoulidou Th. &Rapti N. (2000)"Knowledge of T.E.I. of Athens students about AIDS", Nosileytiki 39(4):345-353. Sapountzi-Krepia D., Raftopoulos V., Sgantzos M., Dimitriadou A., Ntourou I., &Sapkas G. (2006) "Informal in-hospital care in a rehabilitation setting in Greece: an estimation of the nursing staff required for substituting this care", Disability and Rehabilitation 15;28(1):3-11. Seago J.A. & Ash M. (2002) "Registered nurse unions and patient outcomes", Journal of Nursing Administration 32(3):143-151. Sellers N., Satcher J. & Comas R. (1999) "Children’s occupational aspirations: comparisons by gender, gender role identity and socioeconomic status", Professional School Counseling 2:314-317. Shaikh M.A. 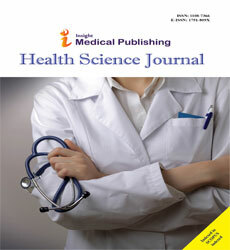 (2004) "Career satisfaction among female nurses", Journal of the College of Physicians and Surgeons Pakistan (http://www.pakmedinet.com/JCPSP), 14(2):72-74. Sianou E. (1997) "Trade union and women educators: The excluded majority" (in Greek), Material for continuing education seminar for educators' sensitization in topics of equality of the two genders in education, Research Center for Gender Equality, Ioannina, Greece. Sianou E. (1998) "Trade union movement and equality" (in Greek), In: Education and gender, New technologies, Conference Proceedings, General Secretariat for Equality, Research Center for Gender Equality, pp 187-193. Siegrist J. (1996) "Adverse health effects of high effort/low reward conditions", Journal of Occupational Health Psychology 1(1):27-41. Southworth J. (2001) Extracts from "The Changing Nature of the Census? Counting race, ethnicity and religion in Britain and America", URL: http://www.gees.bham.ac.uk/downloads/gesdraftpapers/josouthworththesisextracts.pdf (Assessed July 24th 2006). Tackenberg P., Hasselhorn H.M., Büscher A. & the NEXT-Study (2003) "Nursing in Europe", In: Hasselhorn H.M.,Tackenberg P., & Müller B.H. (eds) "Working conditions and intent to leave the profession among nursing staff in Europe", URL: http://www.next-study.net (Assessed January 9th 2007). UKCC (1998) "Statistical analysis of the UKCC’s professional register 1 April 1997 to March 31 1998", Council for Nursing, Midwifery, and Health Visiting, London, United Kingdom. Versieck K., Bouten R., & Pacolet J. (1996) "Manpower problems in the nursing/midwifery profession in the EC country - Comparative report", Nosileytiki 2:106-118. Wall B.M. (2001) "Definite lines of influence: Catholic sisters and nurse training schools, 1890-1920", Nursing Research 50(5):314-21. Wilson D. (1996) "Aging patients, aging nurses", Nursing New Zealand 2(6):13-14. Wynd C.A. (2003) "Current factors contributing to professionalism in nursing", Journal of Professional Nursing 19(5):251-261. World Health Organisation (2001) Report of the Sixth Meeting, Global Advisory Group on Nursing and Midwifery, 19-22 November 2000, Geneva. Zavalloni M.L. & Guerin Ch. (1996) "Social identity and consciousness" (in Greek), EllinikaGrammata Publications, Greece.